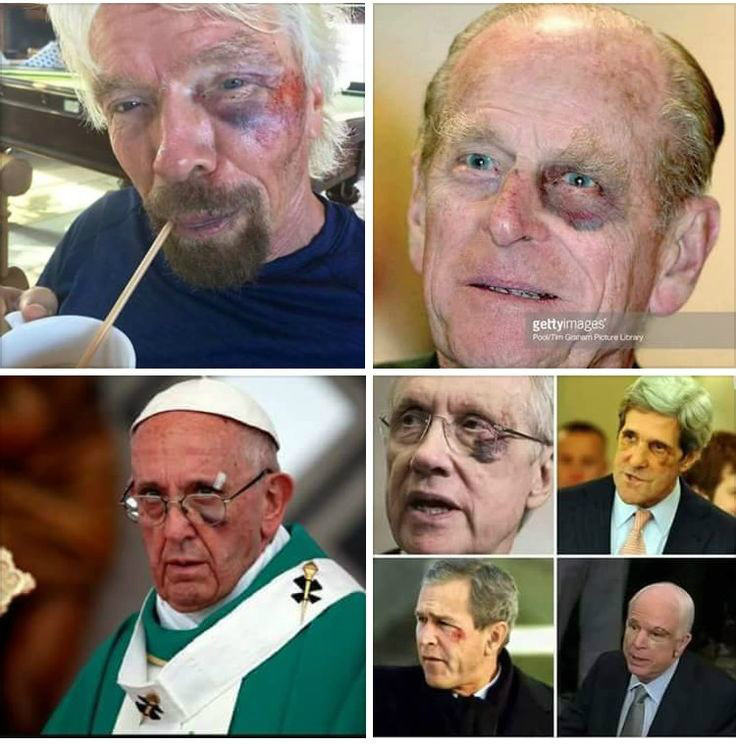 WHAT DOES these men have in common ? And this "shiner" was had by all of them within the time-frame of a couple of months - never before and never since. And yes, these pictures were verified by many publications. No Photo shoppe here. This is what the "Cabal" does to their "assets" as a confirmation of loyalty.